Artist's rendering of proposed $175 Million Lebanon Racino near Monroe, Ohio. If built, the facility would likely be visible from I-75. 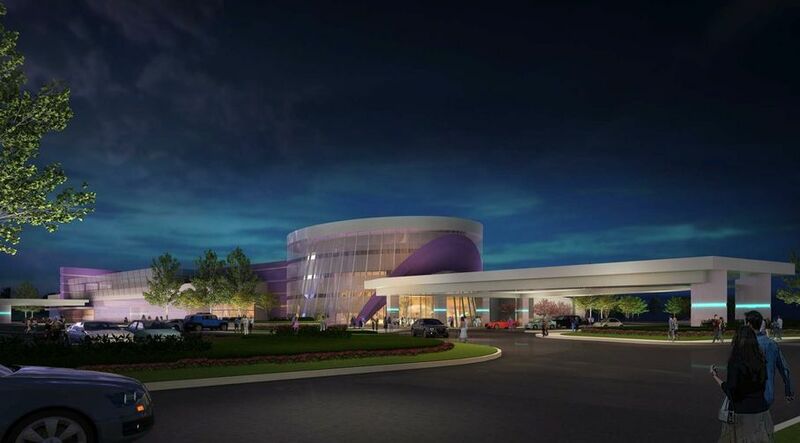 The proposed racino will combine a live horse racing track with video lottery terminals. The first time I heard about annexing the Racino was during a January 2012 council meeting. Councilman Hickman had asked about the racetrack looking at the Warren County site. Mr. Brock explained that the race track has been upfront with the sites that they were looking at. The State ground has always been in play. They looked at several sites within the City and have looked all the way along 75 in Warren County. Mr. Hickman asked if it would be in our best interest to annex that. Mr. Brock stated it would be in our best interest to do that and "we are working on that." Indeed the City of Monroe has been looking into annexing the Racino currently in Turtlecreek township. The city hired Bob Doyle to look into the possibility of annexing the land on and around the proposed Lebanon Racino. Bob Doyle addressed Monroe council, "I've been your consultant for the last year trying to keep the Lebanon Raceway in the area." Consultant Doyle went on to say that what is proposed is and unbelievable facility...You just will not believe what it will do the the area, the economy... It's going to be a first class facility. We are working with Turtle Creek for potential annexation. According to Mr. Doyle, there was a million dollars for the first two years for infrastructure and after that about a half million dollars be paid to the city for support of the facility. So it's not as if you will be 'stuck' with the additional roads, police and fire...this is going to be funded. The facility could be build in 2013 and finished by 2014. 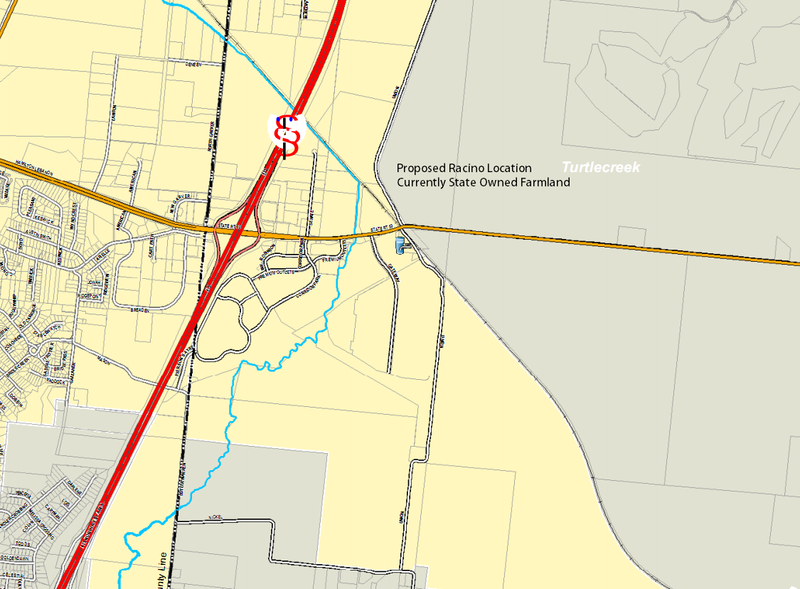 Approximately 120 acres of land at the corner of Ohio 63 and Union Road, near the Lebanon Correctional Institution was approved for purchase for $4.5 million, according to Ohio Bill 386. The bill that passed the House made provisions for 1.3 percent of the racino's revenue to go to the municipality or township where the racino was situated.County Commissioner Pat South has projected the racino could create 700-1,000 full and part-time jobs. Miami Valley Gaming and Racing LLC., a joint venture of Delaware North Companies Gaming and Entertainment and Churchill Downs Inc., purchased the horse racing licenses currently used at the Lebanon Raceway from Miami Valley Gaming and Racing LLC and the Lebanon Trotting Club LLC for a reported $60 million earlier this year.